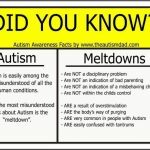 There isn’t anything I know of that can prepare some for the reality of Autism related Meltdowns. They’re awful for everyone involved, especially the person physically experiencing one. At this point in time, Emmett is the defacto meltdown maker in our house. Gavin’s making a comeback and that’s incredibly unfortunate because he presents with many safety issues. Emmett is having another meltdown right now. It began the moment he climbed into the car and has continued since we’ve been home. Lizze has tagged in and taken over so I can collect myself before re-engaging. I don’t know what really triggered this. It could simply be that his day has taken a great deal out of him. 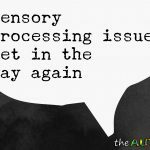 It could be sensory overload or nothing at all. 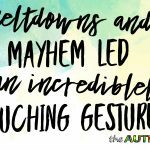 Meltdowns are the bodies way of purging, when someone like Emmett, lacks the ability for self-regulation. 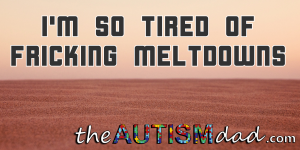 Meltdowns are synonymous with Autism, at least in most people’s minds and they are absolutely not the result of a spoiled child. 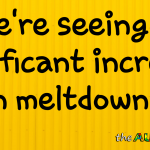 While it’s not Emmett’s fault, the impact of a meltdown on everyone else around him is significant. 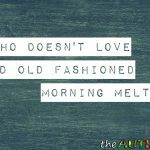 Emmett is easy to love but Meltdowns are hard to deal with. 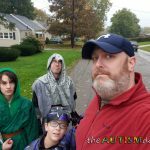 All we can do is help him work through whatever it is that has him so out of sorts or overwhelmed. 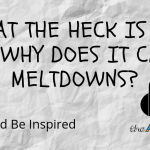 If we discover the root cause of a meltdown, we can try and address the problem and hopefully prevent it from triggering another. I’ve never had to deal with this and I have a question – what would happen if you simply ignored him and let the meltdown run its course? Does paying attention to it make it worse? If he’s acting out and presents a danger to himself or others I certainly wouldn’t expect you to ignore that, but if he’s screaming and generally of sorts, would just letting it happen be awful? I assume you get that it’s a meltdown and not a tantrum. That said, he doesn’t really hurt himself but it’s also something that can’t be ignored. It will simply esculate and he’s in distress, so helping him through it is the right thing to do. Besides, there’s no way to pretend like it isn’t happening because all you have to be is somewhere in the house. Tantrums get ignored, Meltdowns generally need attention and compassion.. Does that make sense? I think the last portion of what you said in your original post is a crucial part – figuring out what the antecedent might be. 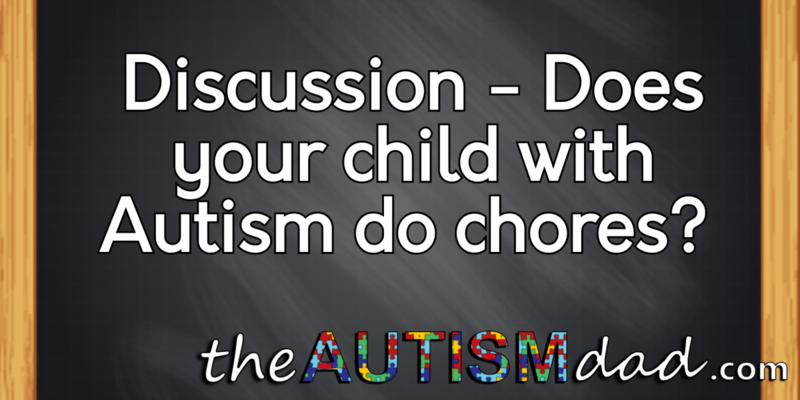 Not only that, even if the trigger is found , it’s important to discuss with him (after the fact, not during the meltdown) about how his body and/or brain feel right before the meltdown occurs so that he can recognize when it’s going to happen, before it happens. Also part of the discussion would be figuring out strategies for him to self-soothe so that even if the meltdown can’t be avoided, perhaps he can learn to calm himself without your assistance. 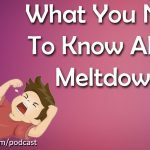 I’m not saying you’re not doing any of that, but your post might lead some to the incorrect impression that there’s nothing that can be done by the individual suffering through the meltdown, to work through it, or learn to work through it, him or herself. 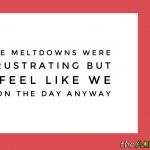 I do get that it’s a meltdown, but as I said, I’ve never dealt with it so I really wasn’t sure if letting it run its course would work or make things worse. 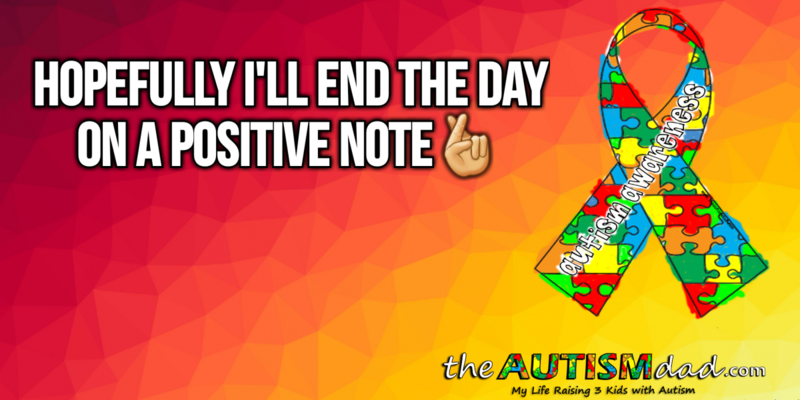 Are you ever able to figure out what is causing the distress so that you can help him to avoid a meltdown over something similar in the future? 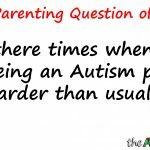 Or once he’s calmed down do you try to divert his attention elsewhere so as not to bring more distress to him?